If you are looking for a room you can share or family accommodation in Vanderbijlpark, our Standard Premium Rooms are perfect, featuring two double beds and generous space. With river views, these rooms are equipped with tea and coffee making facilities, en-suite bathrooms, television with DStv, complimentary WiFi and other amenities that enhance your comfort. 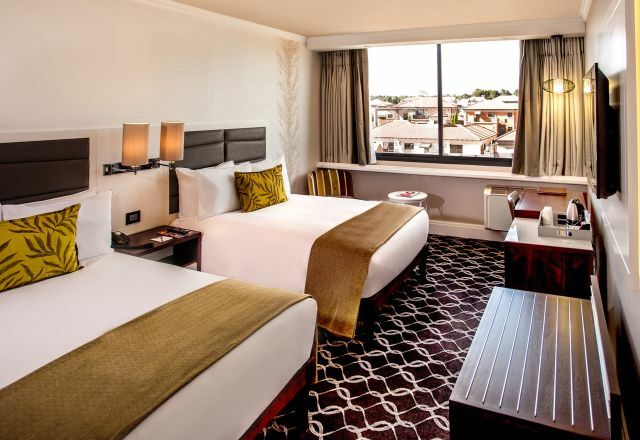 Standard Premium rooms feature two double beds and generous space with river views.